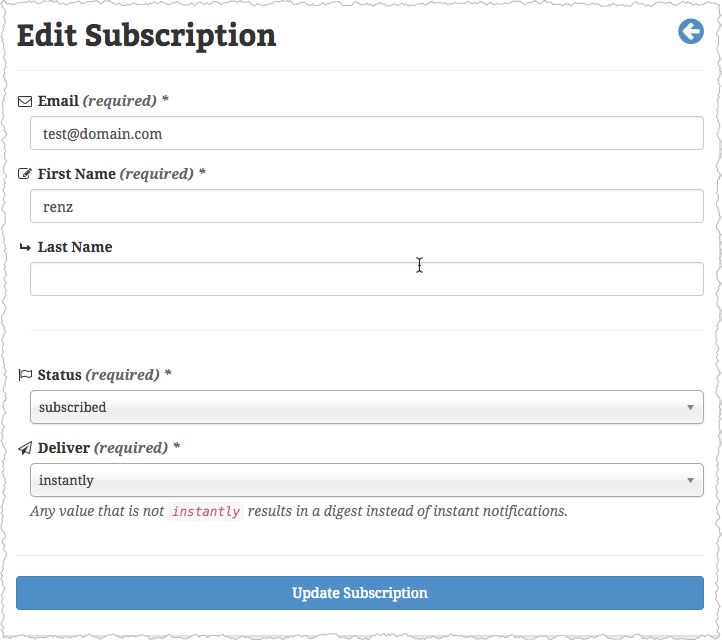 Can users modify their existing subscriptions? 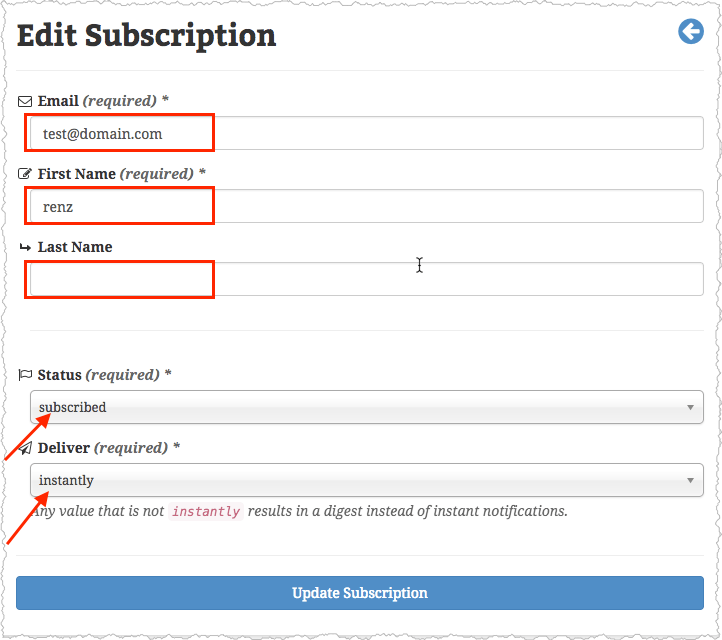 Yes, subscribers can modify and manage their existing subscription by accessing their My Comment Subscription Page via the link found at the bottom of the page whenever subscribing to a comment. Subscribers can also find this link in the footer of any notification emails they receive. From the My Comment Subscriptions page, they can then customize their subscriptions from a number of different options such as: the email used for receiving updates for the Subscription, displayed Name, the specific Post they wish to subscribe to, specific Comments / Comment Threads / Replies or even All Comments / Replies, and even how often they receive notifications for updates.